Terrific Location, Irrigated Acre on a beautiful quiet Street, Great Greenbelt Subdivision, nice homes only area, Zoned R1L-35, flat lot, ready to build. See Yavapai county flood status report attached dated 1/28/2019. property considered Zone X (not located within a fema regulated flood hazard area) Buyer to verify with County. There is Water, sewer, and electricity at the road. The property's main irrigation line runs at the front of the property underground and parallels the road, So that is where the buyer will install their irrigation ports. 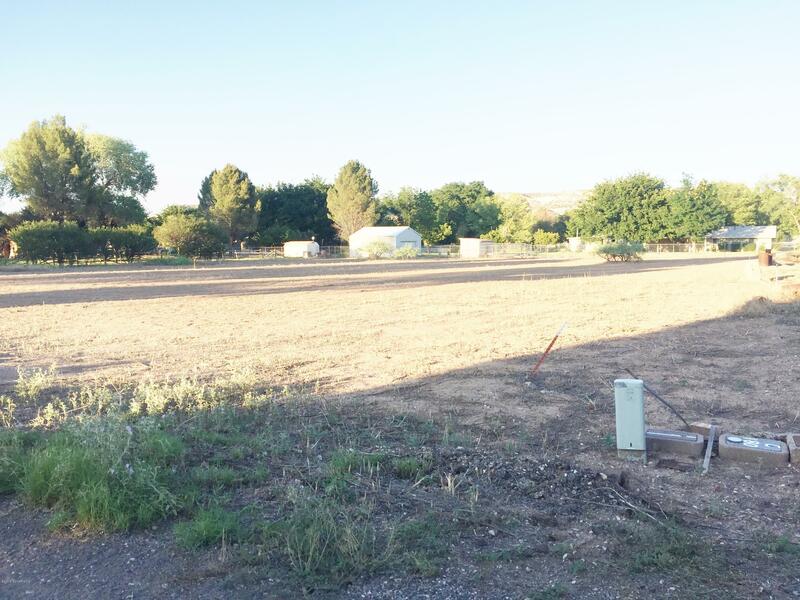 Build your dream home, located close to town and all amenities and the Verde River, yearly irrigation fee. Private water company is Camp Verde Water System. Sewer is Town of Camp Verde Wastewater Division. Buyer to verify all utilities available.